I love working with wool its so easy to sew and fun change from my cotton applique projects. 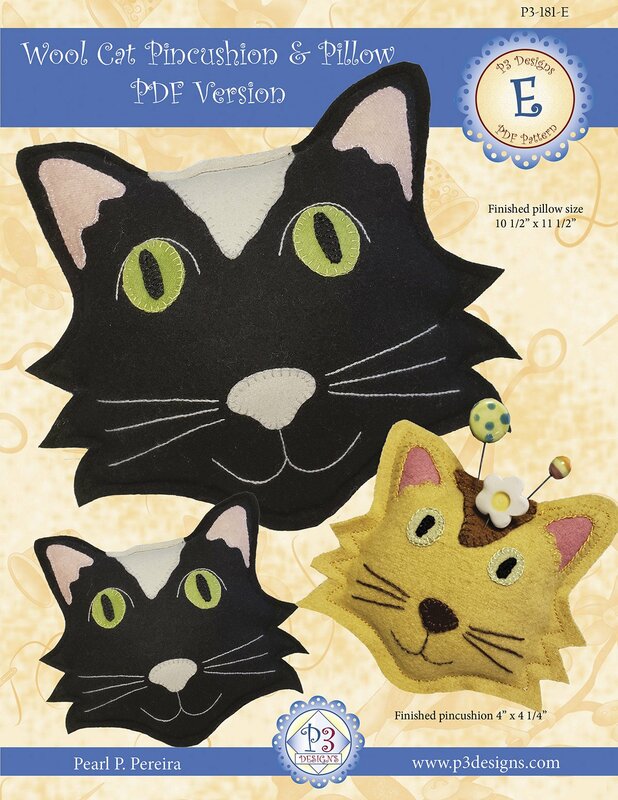 Easy to follow color instructions with photos and full size 12" pattern page for the cat pillow. and 8 1/2" x 11" pages for the other pages. Pattern is ready for you to print on paper side of Ultimate Applique Template paper or freezer paper of your choice.